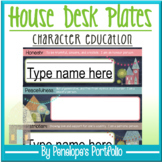 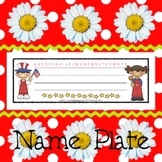 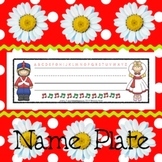 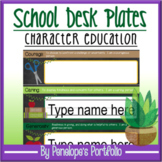 Contains 9 designs of patriotic themed desk plates or name tags. 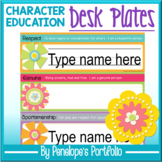 Each design comes 4 to a page. 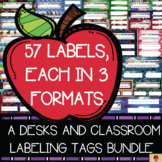 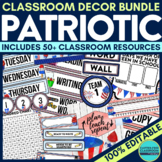 Also included are 2 pages of 4 designs on a page so you can easily print a set of multi-designs for your students if you wanted several patterns throughout your classroom. 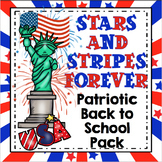 Patriotic Theme Classroom Pack for Back to School!